Is chocolate toxic to my dog? Around this time of year, there is often plenty of chocolate available in our homes. Mind you! This is toxic for dogs and cats. Poisoning is most common in dogs, as they sometimes tend to eat from the table and do not hesitate to ingest the chocolate including packaging. 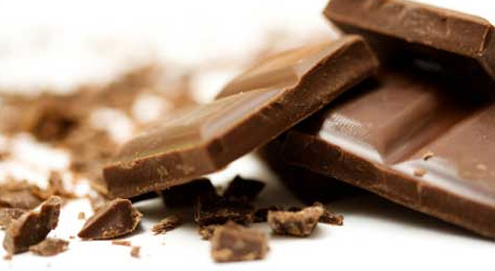 The toxic substance in chocolate is called theobromine. The amount of theobromine varies per type of chocolate. In general, the darker the chocolate, the more theobromine it contains. Why do dogs get sick and people don't? People can process this substance quickly without any problems. Dogs do not; they need a long time to remove theobromine from the body. This is how theobromine can accumulate. Whether or not your dog gets sick depends on its own weight and the type and amount of chocolate it has eaten. In addition, the sensitivity to chocolate poisoning varies per animal. This means that in one animal a certain amount of chocolate already causes poisoning symptoms, while another animal shows no symptoms for the same amount. Is chocolate also toxic to my cat? Theobromine is also toxic for cats. However, since cats are often very picky, they will not eat chocolate by themselves. Especially kittens are very sensitive to it. To give you an idea; a 5 kg dog can develop mild poisoning symptoms if it eats 16 grams of dark chocolate or 50 grams of milk chocolate. Different brands of chocolate each contain their own content of theobromine. The first symptoms of chocolate poisoning usually appear 4 to 12 hours after eating, but in some cases the symptoms only appear after 24 hours. Your animal can become restless, pant a lot, drink a lot, vomit and develop diarrhoea and muscle tremors. Body temperature can rise. Some animals may even develop epileptic seizures. Severe poisoning can lead to cardiac dysrhythmia and can put your animal in a coma and die. When your dog or cat does ingests chocolate, it is important to contact your vet as soon as possible. Have the chocolate packaging at hand with the theobromine content (cocoa content) and try to estimate how many grams your dog or cat has eaten. It is also important to find out when the dog may have eaten the chocolate. This way the vet can make an estimate about the severity. An admission to the clinic may be necessary. Of course it is always better to prevent your dog or cat from eating chocolate. Therefore, never leave it unattended on the table or in open bags.